NGP has already invested a total of $19.5 million in its first five companies. Utilities have a longstanding reputation for being risk-averse and slow-moving. National Grid intends to change that once and for all, with the launch of a unique new venture investment and innovation unit. 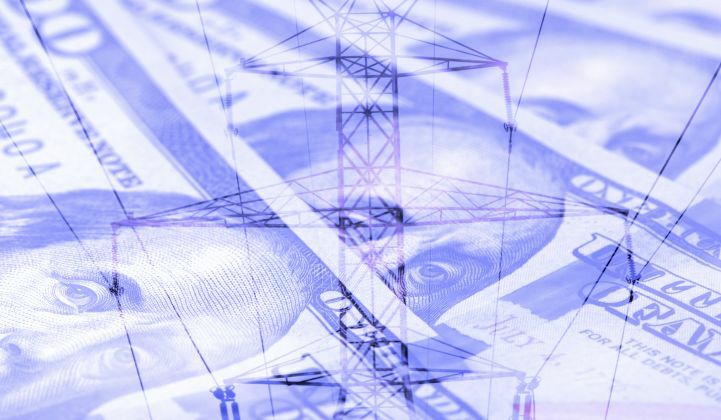 National Grid Partners (NGP) officially opened its doors last week and announced five new funding recipients: AutoGrid, ClimaCell, Leap, Omnidian and Sitetracker. NGP’s role is to keep its parent company more than one step ahead of the latest breakthrough ideas and at the forefront of the energy industry — with a bold vision to “define” a smarter and more renewable energy future. Lambert, who is leading the new venture arm, previously worked at Intel Capital and The Westly Group. She’s joined on the exec team by technology-sector veterans Kareem Fahmy, Dillon McDonald, Brian Ryan and Pradeep Tagare. Lambert touted the expertise of NGP’s team and the group’s deep experience and network across the U.S. and the U.K. — National Grid’s principal markets. “This pedigree...positions us to select, fund and incubate the most forward-thinking companies addressing innovations in energy and IT in a timely and risk-controlled manner,” she said. With investment in energy-related companies rising and consumer expectations increasing, "we want to disrupt ourselves before we are disrupted,” said Lambert. NGP has four main business units: innovation, incubation, corporate venture capital and business development. The fund’s investment pace is set at $250 million over next two to three years, or about $100 million per year, with a target of 10 to 15 investments per year. Each of the four units has an allocation of resources and its own operating capital. So far, NGP has invested $19.5 million in its first five companies. Ranging from energy management to artificial intelligence, and also including smart assets, enterprise software-as-a-service, and distributed energy marketplaces, NGP’s first five deals reflect the new group’s focus on providing customers with a more seamless, reliable and efficient energy service. AutoGrid, which leverages big data to analyze energy data and create real-time, actionable information, aims to help with predictive maintenance and commercial industrial demand response in the U.S.
ClimaCell, a next-generation weather forecasting company, aims to provide by-the-minute demand response for the smart grid for business optimization, as well as asset-specific outage forecasts for storm response. Leap, a marketplace for distributed energy resources that enables a more effective monetization of grid services, enabling automated trading on energy markets. Omnidian, a provider of comprehensive protection plans for investments in residential and commercial solar energy systems, aims to optimize and control distributed energy resources, data analytics and predictive capability, as well as provide insight into the PV market. Sitetracker, a software-as-a-service platform that enables growth-focused innovators in critical infrastructure industries, such as utilities and telecom, to optimize their entire asset lifecycle. “National Grid Partners provides its portfolio with financial support as well as strategic investment — in some cases we incorporate them into our business operations,” said Lambert. NGP’s investment in AutoGrid, for instance, strengthens National Grid’s existing relationship with the company, and provides a number of strategic benefits for a growing startup. That includes help with business development across the value chain and greater access to National Grid’s global market insights. This type of initiative isn’t entirely new for National Grid. In 2015, the utility launched its New Energy Solutions group, with a mission to manage and serve customers at the grid edge. According to Lambert, that group still exists and continues to focus on development opportunities. NGP, meanwhile, has and will continue to partner with other arms of the company to enhance the utility’s service, she added. For instance, her group will provide support to National Grid's chief information and digital officer, who oversees all IT, digital engagement and analytics for the company globally. "It’s all about internal collaboration with these groups and with startups externally," Lambert said.